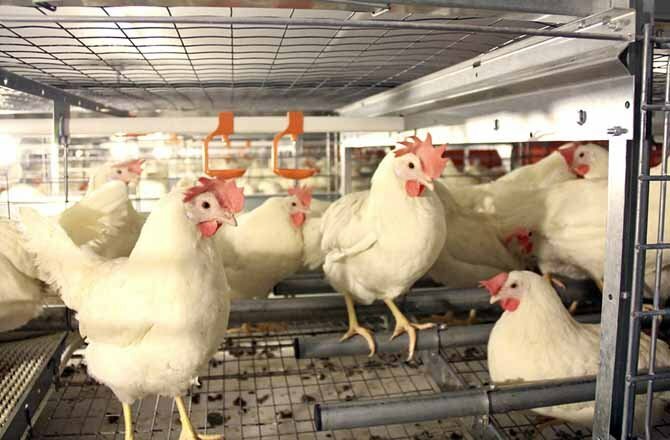 Missouri Attorney General Chris Koster has filed a lawsuit in the Eastern District Court of California, asking the federal court to overturn a 2010 California law requiring the same standards for in-state chickens be applied to out-of-state chickens. In 2008, California passed Proposition 2, a ballot measure that increased the standards for egg-layers, providing that such chickens must have enough space to spread their wings without touching another chicken, and be able to stand up and lay down. Animal producers in California, however, complained that because they couldn’t stuff as many birds into the same space, they are at an economic disadvantage when competing with out-of-state producers selling in California. In response the state legislature passed a law requiring that all eggs sold in California be held to the same standards required under Proposition 2. The law will take effect in 2015. While California maintains that the additional law was enacted for health safety given the atrocious conditions of battery cages, Missouri counters that the law is an unlawful attempt to regulate conduct outside of California’s boarders, and an impermissible protection against out-of-state competition, both of which are in violation of the Commerce Clause. Mr. Koster has stated that he is concerned not only with the effect on agriculture and animals, but also how California’s law will impact Commerce Clause regulation of industries in general. He contends that 36% of Missouri’s eggs are sold in California, and that California risks setting a dangerous precedent; “If California legislators are permitted to mandate the size of chicken coops on Missouri farms, they may just as easily demand that Missouri soybeans be harvested by hand or that Missouri corn be transported by solar-powered trucks.” Mr. Koster claims that it would cost Missouri egg farmers $120 million to bring their coops into compliance. Egg production certainly has been affected in California. 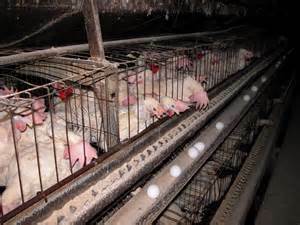 As reported by the New York Times, some companies have ceased their egg production in California claiming they could not afford to construct the “colony cages” that provide the requisite space for the birds. One company has reduced its flock from 1.8 million birds to 1.4 millionbirds, resulting in 7 million fewer eggs (19 million vs. 12 million). Incidentally, California does not currently have enough hens to meet the in-state egg demand, hence the imports. The Commerce Clause, as many of you know, has become a bit of a catch-all for defending and attacking laws. Going back to Heart of Atlanta Motel v. United States, the Commerce Clause has been given what many believe is over-broad power; so long as there is some rational basis tying an action to commerce, state and federal laws have commonly been upheld. Conversely, where laws have discriminated against another state’s economic interest, they have been struck down. That’s a very glib summary, and of course the cases are more nuanced. For example, the US Supreme Court recently took a step away from Commerce Clause expansion in National Federation of Independent Business v. Sebelius, holding that the Affordable Care Act could not be justified under the Commerce Clause, but could be enforced under the Taxing and Spending Clause. The Supreme Court has addressed the Commerce Clause as it relates to animals. In Hughes v. Oklahoma, the court held, “where a statute regulates even-handedly to effectuate a legitimate local public interest, and its effects on interstate commerce are only incidental, it will be upheld unless the burden imposed on such commerce is clearly excessive in relation to the putative local benefits.” 441 U.S. 322, 331 (1979) (holding that while states have an interest in regulating wildlife, a restriction of the interstate sale of minnows captured in Oklahoma was unconstitutional). Additionally, in United States v. Lawson, the court held that animal fighting prohibited by the Animal Welfare Act was properly regulated under Commerce Clause authority. 677 F.3d 629, 636-637 (4th Cir. 2012) (“under the animal fighting statute, if a defendant lives in a jurisdiction where game fowl fighting is legal under the laws of that jurisdiction, the government must prove as an additional element of the offense that the defendant knew that at least one bird in the fighting venture traveled in interstate or foreign commerce.”). Looking ahead to Mr. Koster’s suit, the court will have to decide the following: (1) does the California law discriminate against interstate commerce either intentionally or in effect? ; (2) does it regulate even-handedly with only incidental effects of commerce? ; (3) does the statute serve a legitimate local purpose? ; (4) if so could alternative means promote this local purpose without discriminating against interstate commerce? Let us assume that promoting healthy chickens and therefore healthy eggs for consumers is a legitimate purpose. There doesn’t seem to be discrimination against other states, as this law makes all vendors follow the same regulations without promoting in-state farmers. There is an additional burden on out-of-state vendors, but the same could be argued for different in-state taxes, which are generally upheld. While the millions of dollars at risk for upgrading infrastructure is perhaps more than an incidental effect, again it is an even-handed effect. The most interesting aspect is whether the health of Californians can be promoted by alternative means. To get to that, however, the court will have to find that the statute discriminates against interstate commerce, and that is not a guarantee. Bear in mind as well that the 9th Circuit as of late has leaned towards animal protection; California was recently successful defending its ban of the sale of foie gras under a similar Commerce Clause argument. Proposition 2 has been under scrutiny by many harbingers declaring the death of California’s egg industry. If out-of-state producers can cram more chickens into smaller cages to produce more eggs cheaply, that would certainly fuel the opposition. Either way, it’s sure to be an interesting decision.